We are extremely excited to bring you this sixth and special issue of Dawnland Voices 2.0: Autobiography. Like Siobhan Senier wrote in the introduction to the print edition of this journal, Dawnland Voices 2.0 has always been committed to providing a space for Native peoples to share their stories, poems, plays, songs, and essays that grow out of the cultures and experiences of Native peoples. This special issue is focused on the genre of Native American Autobiography. Autobiography has many meanings for many peoples, but in the Western world it is most often defined as an account of a person’s life as written and told by that person. Understandably then the genre of Native American autobiography often challenges our understanding of what others may conceptualize as autobiography. Indeed, the canon of Native American autobiography has to be reimagined within a Native American context. By this we mean to draw out the importance of making connections between Native American cultural production and anticolonial/decolonial politics. Native American autobiography tends to bend and transform an otherwise Western understanding of this genre. Specifically, Native American autobiography challenges Western perspectives insofar as the Native American context allows writers to regenerate: producing “transitional continuities emerging from the old” (Lincoln 8). Indeed, while the history of Native American autobiography is complicated to say the least, these contemporary works here represent but part of a much larger and prolific effort to tell “new” stories of Indigenous survival, adaptability, and resurgence. Moreover, Native American autobiography as Dawnland Voices 2.0 understands it is in part about providing a space to share contemporary Indigenous authors’ narratives of regional Indigenous futures. As editors of this special issue, we felt it important to highlight some of the contemporary and autobiographical work being done by the wonderful community of Dawnland Voices. In making selections for this issue we considered how these authors and their pieces the tell “discrete stories of episodes in a life, rather than the story of a life” (Brumble 85, emphasis added). As such, this special issue hopes to accomplish two things: first to encourage the continued literary production of Indigenous authors as part of the dynamic community of Dawnland Voices; and second, to implore our continued and new readers to consider how Dawnland Voices 2.0 is also a space for questioning Western perspectives and how “seeing with the Native eye” (Krupat 23) might relativize those perspectives and provide an even stronger base to discuss the continued importance and impact of Native American writings. Dawnland Voices 2.0 has always been committed to allowing Native American and Indigenous voices an opportunity to speak back at the “ongoing process of colonialism” (Raheja 88). This is something we wanted to keep very close to our hearts while curating this issue. Specifically, this meant that we continued to take an approach to Native writing that it should not be bound to the conventions of the Western genre of autobiography and that writers should not feel labored or constrained by Westernized expectations. As such, we worked collaboratively with the authors represented here so as not to sacrifice what makes these products uniquely Native American in the first place. We wanted authors to have the ability to say what they wanted to say and in the way that they wanted to say it. Indeed, we agreed that as special editors for Dawnland Voices 2.0 it was of the utmost importance to allow for “complex aesthetic performances that defy and disorient those who would try to make sense of them in conventional ways” (Radway 147). In this special issue of Dawnland Voices 2.0 we have gathered the writings of six unique individuals, all of whom have contributed diverse accounts of life experiences to this collection. Their additions are stories of family, community, love, survival, and triumph. 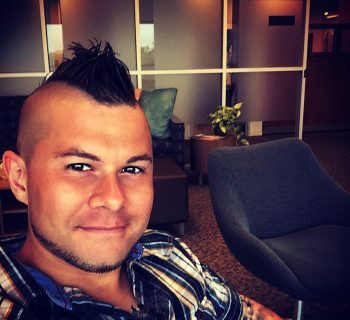 Mohiks Eagles Fire, known also as Tim Blanchette, is a Native American hip-hop artist, Eastern War Dancer, entrepreneur, and activist from the Mohegan Tribe of Connecticut. His essay, “Dance, Pray, Heal,” is an impactful account of his life on a reservation and his struggles with depression, loneliness, and alcohol. He vividly discusses his relationship with the Creator and his culture, both of which played integral roles in his recovery. Mohiks, meaning “wolf,” is currently in the studio writing and recording for his upcoming album, Red, White, & Blue. A previous contributor to Dawnland Voices, Faith Damon Davison offers “A Poor Little Village” and “Reynolds' Rabbits,” both of which offer an intimate and often heartwarming view into her childhood and family life during World War II. Faith is a valued voice in our community, having served on a number of organizations devoted to the continued vitality of indigenous culture and life, including the Mohegan Library and Archives. Ella Alkiewicz shares “My Uviak,” an essay that illustrates Ella’s identity as an Inuit woman and the complications that confront her as she navigates life in spaces that are largely ignorant of her identity and her culture. 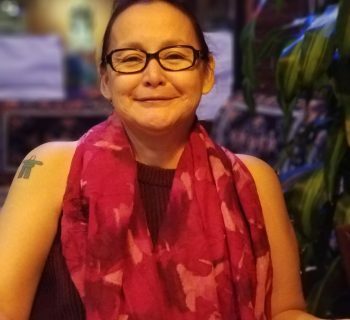 A Creative Writing Nonfiction MFA candidate at Lesley University, Ella weaves her story in both the English and Inuktitut languages. Wendy Newell Dyer, Passamaquoddy, offers us one very compelling window into her life with “A Mother’s Wounds.” It is an account of violence and trauma, but also one of survival and transcendence. Wendy was raised in a non-Native family, but eventually reconnected with her biological family and her Passamaquoddy culture. 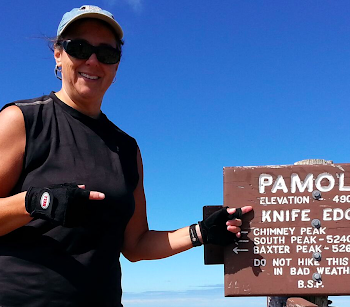 A dynamic activist, Wendy has contributed to initiatives such as the Maine Truth and Reconciliation Commission, as well as the Maine Coalition to Fight Prostate Cancer and the Prostate Cancer Foundation in honor of her late husband. An author of three collections of poetry and an editor of Dawnland Voices, Cheryl Savageau shares excerpts from her upcoming memoirs, Out of the Crazywoods, in “Wretched,” “Stories and Storms,” “Poetry for Breakfast,” and “The Death Turnpike.” Her stories address a wide range of topics, from her struggle with mental illness and the essentiality of family and community, to the moment she fell in love with language and became a writer. Her list of accomplishments is lengthy and stretches across multiple genres, including multiple accolades in the poetry community and in children’s literature. William S. Yellow Robe, Jr. is an accomplished Assiniboine playwright, having received the Lifetime Achievement Award from the Native Writers’ Circle of the Americas along with multiple other accolades and recognitions. In this issue, William offers three poems: “All the Way to the Bone,” “Just Mina, Just Stanley,” and “Discount Save.” The first is a promise of love and loyalty; the second honors Yellow Robe’s parents and the sacrifices they made for their children, while the third exhorts us to never distort a message of love into one of hate. We are honored to be given the opportunity to curate and share these exceptional works of life writing with the Dawnland Voices community, and to continue Dawnland Voices’ tradition of celebrating Native cultures, lives, and voices. Though each of the voices we have included is unique in terms of origins, upbringing, and affiliation, all share a common root in strength, transcendence, and gratitude. We offer our very sincere thanks to all of the authors who shared some of their most private and, at times, painful experiences in this edition. This issue was put together by a graduate seminar at the University of Massachusetts-Amherst titled Native American Autobiography and the Archive. We would like to thank Siobhan Senier, who trusted us to treat these pieces with a light hand and allow them to speak for themselves, and our professor, Dr. Laura M. Furlan, who guided us through our understanding and reception of Native texts. Eean Grimshaw and Heather Thein, with contributions from Brie Adams, Ashley Canter, Marcie Gallo O’Connell, Maria Ishikawa, Laura Furlan, Mikala Jones, Elena Kalodner-Martin, Jeremy Levine, CJ Martin, Zachary Smith, and Zoe Tuck. Senier, Siobhan, ed. Dawnland Voices: An Anthology of Indigenous Writing from New England. University of Nebraska Press, 2014. Lincoln, Kenneth. Native American Renaissance. Vol. 738. University of California Press, 1985. Brumble, H. David. American Indian Autobiography. University of Nebraska Press, 2008. Krupat, Arnold. Red Matters: Native American Studies. University of Pennsylvania Press, 2002. Raheja, Michelle H. "“I leave it with the people of the United States to say”: Autobiographical Disruption in the Personal Narratives of Black Hawk and Ely S. Parker." American Indian Culture and Research Journal 30.1 (2006): 87-108. Radway, Janice. "Zines, Half-Lives, and Afterlives: On The Temporalities of Social and Political Change." PMLA 126.1 (2011): 140-150.